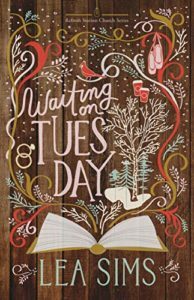 Review & Signed Print Giveaway of Waiting on Tuesday! Bethany Foley spends a lot of time waiting—waiting in parking lots for kids, waiting for her husband to change his mind, waiting for her heart to heal, and waiting on God to work a miracle and save her marriage. Her husband has left her for another woman, and she’s facing a daunting future of running her ballet studio alone and raising two small children part time. There’s nothing Wyatt Foley wants more than to finalize his divorce and move on with his life. He’s got a new girlfriend, his construction business is booming, and he’s about to put a deposit down on a new life. He’d like to put his past in the rear view mirror, but his children are a constant reminder of what he’s leaving behind, and he can’t shake the feeling that somewhere along the way, he took a wrong left turn. Through a series of divine connections and well-timed revelations, God intervenes. Wyatt’s world is turned upside down. Bitter truth forces his face to the mirror and his knees to the floor. And just a few miles away, his wife discovers something sacred about silent spaces of trust: God is in the waiting. With the girding support of some amazing friends, an unexpected opportunity to rescue a girl, and divine intervention from an unlikely source, she learns that with God, there’s nothing broken beyond repair and it’s never too late for a happy ending. One word for this book – ah.maz.ing. Seriously powerful story about how God is truly the Great Rescuer. 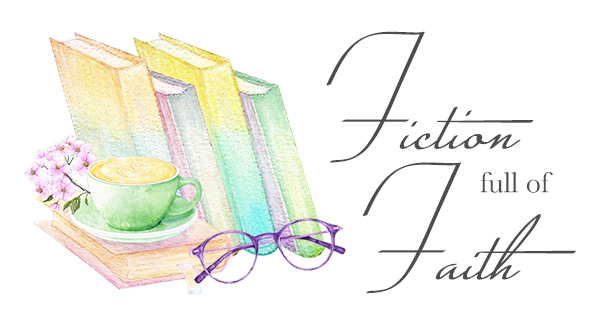 I fell in love with Lea Sims’s writing when I read Running from Monday (you can see review if you search the archives) and have been not so patiently ‘waiting’ for Waiting on Tuesday to be released. You first meet Bethany in Running from Monday, but I promise you – this book can completely stand on it’s own. A little background on me – I will be perfectly honest with you, I am divorced and married to my second husband since 2004. I never looked back once, but my circumstances were entirely different! I was completely pulled into Bethany’s story from the first page, so much so that I was completely and utterly prepared to not like Wyatt….at all….ever, lol. That, of course, turned out not to be the case, because Lea has a way of writing that simply tugs at your heart strings and makes you see things and circumstances – and people – as God wants us to see them. There were times I had to literally pause while reading to just absorb the written words….or just catch my breath and dry my eyes. At one point my coworkers were asking if I was okay, as tears streamed down my face while I read this on my lunch hour – which actually turned into a lunch hour and half because I could not stop reading….shhhhhh. Then there were the sessions that both Bethany and Wyatt experience with the pastors ring with such honesty and truth, it was a joy to read this book! I also know zilch, zero, zip about dance…but again, the way Lea writes, I could see the dancing in my mind, and it actually brought real tears to my eyes…how does that happen? Fantastic writing is how, trust me! There is so much I could keep saying about this beautiful story, but I want you all to experience the joy of reading it yourself, and don’t want to spoil it for you! Lea has a way of tackling very hard issues for women, issues that most people do not want to talk about. But this is her ministry, really, reaching so many people she couldn’t otherwise. I truly believe that through her writing, Lea is helping women heal from past issues we may never even have known were still being carried around by us. 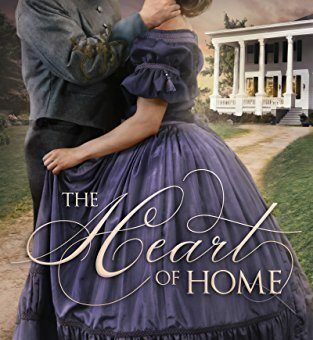 I know I am speaking on behalf of myself when I say I can truly hear God’s Spirit speaking to me through her stories…..and I believe in my heart I cannot be the only one who has experienced this through Leas Sims’s novels. 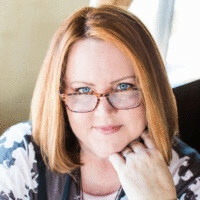 Lea Sims is an author, teacher and ministry leader living in Jacksonville, FL, who writes Christian fiction books, study guides, and biblical resources designed to help women unlock their personal narratives and find freedom, identity, and purpose in God. A professional writer for 25+ years, she has published books, articles, white papers, and resources in the technology space, and has spent the last 10+ years writing women’s ministry resources for Celebration Church in Jacksonville. A self-declared “ambulance driver for the Kingdom,” Sims has a passion for rescuing women from broken places and seeing them walk out of pain and into their purpose. Lea Sims has GENEROUSLY provided a SIGNED PRINT copy of Waiting on Tuesday for one of our readers! Simply comment on this post and tell us what your favorite style of dance is to be entered to win. Contest is open for one week from today and winner will be notified via email! Previous Review & FREE Giveaway of Love’s Redemption by Andrea Boyd! Next Review & Giveaway of Beyond the Waves by Lynette Bonner! Oh, Paula, thank you for bringing Lea to my attention. Just your assessment of her book makes me want to cry. I too, am divorced and remarried. That is a story for another time. I definitely want to read Lea’s books now. I love reading books from an author who uses her or his, talent for God and furthering His Kingdom. Although her ministry aims towards women, it sounds like in this story it is men also. Thank you Paula for your article and thank you Lea for giving your readers books that touches the heart! Thank you, Kathy, for your beautiful words! Lea is a wonderful author, and I am blessed to have read her books, I cannot recommend her enough! As for dancing. I’m not very corinated, but I used to do so kind of dance when I lived in North Dakota. They had street dances all the time. I am not much into dancing but I think that traditional ballet would be a great way to get some exercise/stretching in. I tell you what, after reading this story, it is also a lot of work! They are true athletes!! I love Meringue and Salsa. Love it! I am so not a dancer, lol. Thanks for sharing, Noelle, that sounds like fun! Thank you for sharing your review! Sounds wonderful! Ah, I used to love to watch my aunt and uncle, they were very good ballroom dancers! Thank you for sharing with us! Thank you for stopping by, Sherri! I sincerely hope you get these books, you will be so touched, as I was, by Lea! I pretty much have two left feet, so we would probably knock one another out on a dance floor, lol!! I love to watch swing dancing, but I am not any kind of dancer, except a bad one! LOL, Lisa, goodness, we don’t have too many dancers here…hahaha, me being the worst, I am sure! Thank you for dropping by and sharing with us! Am interested in reading this book, after hearing so much about it. . . Thanks for the opportunity to enter a giveaway! Would love to win a print copy! I thought of you right away, Lual! Good luck with the draw!! Thanks for the chance to win. This book sounds very interesting. You’ve definitely piqued my curiosity. Bless you, Terry! This is why I love doing the blog! I absolutely love watching ice dancing! And if I had to dance I’d go for ballroom. But since I can’t dance at all, that’s unlikely to happen😂. Thanks so much for the giveaway! I live to watch ice dancing too! My favorite Olympic moments! Thank you for sharing and good luck in the draw! I like watching ice skating. . . Thanks for the opportunity to enter a giveaway! Would love to win a print copy! One of my favorite things too!! Idk if i have a favorite type of dance. I did enjoying learning how to swing dance in high school. Great review! Thanks for the giveaway! I bet swing dancing was fun!! Thank you for sharing, Rachel! Best if luck in the draw! Ballroom dancing has always looked elegant. . . Would love to win a print copy! Thanks for the “chance”! Glad you are such a loyal fan, Lual!! I think any book that can make me cry is pretty good! For an author to be able to evoke that emotion just using the written word is pretty powerful. I am not really familiar with different dance styles, I watch Dancing with the Stars every once in a while and it truly amazes me what some of the amateurs can learn in a short time. I have never seen that show, but I am so uncoordinated, I doubt I could learn anything in a year, lol!! Slower dances are my favorite, especially Texas two step! That sounds like fun, Joni! Thank you for stopping by and sharing with us! My favorite type of dance is Ballroom, not that I can dance. I love watching Dancing with the Stars. I can’t dance, Michelle, but I love to watch too! Thank you for dropping by and sharing! While I have two left feet and can’t dance, I love to watch ballroom dancing. I think it’s incredibly beautiful and moving, and one day I hope to learn! I am of the two left feet club as well, Amanda! I know I could never learn to dance like that, lol! Thank you so much for sharing with us today! Not a dancer but free style appeals to me. Yay! Another non dancer like me, lol! Thank you for sharing, Mehvish! I love to dance! My favorite is to freestyle to the music. I love watching dance! My daughter has danced since she was four years old – ballet, jazz, hip hop and modern. The last couple of years she was part of a performing team that traveled to NYC to perform on Times Square. Her team also went to the Dominican Republic for a week in summer to run dance classes and VBS in a church there. Such a tremendous experience for her. I love hip hop because it’s so fun and expressive but I also loved jazz when danced to old songs. What a proud momma! That is amazing! Thank you for sharing! Oh yes, that is some beautiful dancing, Marie! Thank you for dropping by! When I was younger, I was in a clogging group. I still love to watch clogging….especially groups because I know how hard it is to keep everyone together. How much fun that must have been! I enjoy the energy of the cloggers! Appreciate your sharing, Amy! I love all styles of dance, from ballet to hip hop to square dance to other cultural dances, thank you so much for this wonderful chance! I love Irish soft shoe and hard shoe dancing like in Riverdance. Thank you all so much for participating in the giveaway! Drum roll please……….and the winner of the signed paperback is Kathy! You will be hearing from me shortly to get your book sent! I appreciate all of you, and please keep stopping by for more reviews and giveaways! Would love to win this book. I have never read any of her books. I am sorry, Jamie, that contest was closed and winner was already announced!